Considering Cane Kallevik’s rocky start, her life has been normal under the watchful eye of Grandma Betty. Freckle-faced, scrawny, and almost sixteen, Cane has ants in her pants. When she’s not running five miles at a crack, she’s riding her bike around the rural farming town of Savage, Illinois and engaging in a secret warfare with her former best friend, Mikayla Atwood. The biggest thorn in her side is Jenny Ryanne Schaeffer, her employer, who Cane has nicknamed Jelly Roll for painfully obvious reasons. When Justice Price, Jelly Roll’s gorgeous, older nephew rolls into town, Cane is convinced that their age difference is a minor inconvenience. On the first day they meet, she invites him for a nighttime rendezvous. Despite the tornado warnings that evening, she leaves her house, hoping by some miracle that Justice will show up. While she’s waiting, a tornado of epic proportions slides right by her, leveling everything in its path. Cane’s house is destroyed, and Grandma Betty is in a coma. Out of necessity, Cane moves in with the Schaeffer family and spends the summer falling in love with Justice, keeping vigil at Grandma Betty’s side, fighting with Jelly Roll, walking a fine line between love and hate with Mikayla, and discovering scandalous secrets about Mikayla’s mother, Annette. A compelling beautiful coming of age story, this book deserves much more reviews than it currently has. This is a story of Cane, a girl who is trying to survive her life without the help of a mother or a father. With just her Grandma Betty, Cane is devastated when the old woman is hurt in a tornado and is in a coma. The summer stretches on and Cane has to live with a woman who hates her, the woman Cane calls "Jelly Roll" but Cane still can not figure out why "Jelly Roll" has an issue with her especially since her husband was her dad's best friend. On top of all this, her ex best friend and her are still waging wars on each other. Makela and Cane have a love/hate relationship with each other but they have been friends since they were in diapers. This is a coming of age story, but not a typical one at all. Cane is feisty and brilliant as the main protagonist in this series. The series opener is beautifully written and well thought out from all stand points. The characters are presented well and the story is just long enough to capture your heart but short enough for a quick read that doesn't drone on and on. A perfect beginning to an excellent series. One to not miss for sure! 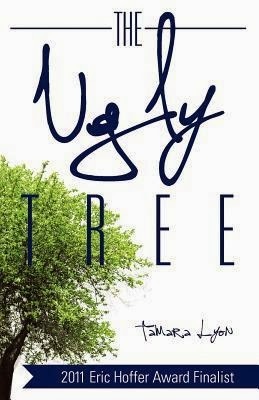 In this sequel to the award-winning The Ugly Tree, Cane has always known that the handsome and sweet Justice Price, was the one. So, when he pops the question and offers her everything she's ever wanted and more, she readily accepts. But, when Cane learns a secret about Justice she panics, insists she needs some time to think things through and leaves for the summer, breaking Justice s heart and her own. Now in Colorado and living with her college roommate, a successful business woman who owns two companies, Cane takes a position for Caprice as both a maid and marketing co-chair with Caprice's musician cousin, Nikeo. It isn't long before he and Cane develop an adversarial friendship wrought with sexual tension that leaves them both on edge. Though her heart still belongs to Justice, Cane can't deny her attraction to Nikeo. While she's trapped in a love triangle of her own making, Cane discovers that Justice may be in love with someone else. Will she find her happily ever after with Nikeo or Justice? Or will she lose them both? I don't usually like sequels better than the first book. For some reason authors seem to lower the bar a bit on a second novel and not try as hard. For me, this book was the complete opposite. This book was better than the first. Since I adored the first, I will explain why I loved this one more. For starters, the book got more real than in the first. We meet Cane and Justice just as Cane is graduating from college and her family is there. There is a bit surprise for Cane after the ceremony. Justice decides to propose to her in front of every person she knows. Not that this is a bad thing, but Cane is freaking out!!! She can't breathe. Secondly, this book was funny. There were so many part when I was literally laughing out loud that it was such a joy to read. It was a light hearted and fun read. Third, I love how the author flashed back to scenes from Cane's and Justices relationship. Since the story picks up many years later, the reader has missed many things in between. The writing did a superb job of keeping us informed though. Price, slip her engagement ring back on, and sprint to the altar. Justice’s feet aren't just cold, though, they’re frozen. Still reeling from Cane’s summer fling with dangerously attractive bad boy Nikeo, Justice claims he needs time. But is it really time he wants, or their curvaceous and bubbly co-worker Susan, with her bottomless supply of adoration and baked goods? When Cane’s not seeking advice from Rhonda Riddle at the psychic hotline or planning ad campaigns for Schaeffer Dairy, she’s counseling eighteen-year-old Jocelyn Schaeffer through a tabloid-worthy scandal and keeping secrets for her best friend, Mikayla. Just when Justice seems to be coming around, tragedy strikes, and at the worst possible moment Nikeo shows up on Cane’s doorstep . .
Sequels are sometimes a bummer to read because the author unnecessary stretches the book on to join in the trilogy hype.Tamara Lyon did no such thing. In fact, I think this series could have even had another book with it. I just adored Cane's and Justice's relationship. Sure, they had there problems but they always loved each other. It is hard to write a review on the last book in a trilogy without spoilers so I will make this last review brief and try not to give too much away. This book is definitely needed in the series and it comes with the same excitement, humor and beauty the rest of the series displayed. This third book has even more humor than the first two books. Cane's personality really shines through in this last addition. I just fell in love with this character and can really relate to all the trials and struggles she goes through. She is a strong person who has endured a whole lot in life but she still always continues to shine. The author does not disappoint in this final book. The story is brought together to an amazing and quite unexpected close. An ending you must read to really appreciate. "On the night that I was born, the circle of life sucker punched my family in the face. Grandma Betty stepped up to the plate, and out of her iron will to make lemonade out of lemons, she named me Cane, claiming it was because I was as sweet as sugar." I have learned that for me, hope is fickle; it can drag me down just as easily as it can pull me up by my bootstraps, so high that my feet don't even touch the ground." The timing wasn't right when we met, was it? and even though some things have gone wrong these past six years, so much more has gone right. You make me crazy. You make me sane. You make me laugh harder than anyone can. You make me want to be the best person that I can be. You are the love of my life, Cane. I don't know how to live without you. I want you by my side for all of time. Will you marry me? When I'm around him, I behave unscrupulously and irrationally. He provokes emotions in me that Justice never has. He unsettles me, challenges me, pushes me, and enrages me. He makes me question who I am and what I believe. He brings out things in me I didn't know were there and things I don't like to acknowledge that are. Jocelyn has come a long way in terms of confidence over the past few years; with my mentor-ship and help, she's lost a hundred pounds, gained confidence, and even joined the cross-country and track teams at school. Still, the predicament she's in, and the scandal that will surely follow? Even I couldn't withstand something like that. Unfortunately, she's sweet through and through, a true sugar cube of a person--no one can help but love her . I, on the other hand, evoke more extreme emotion--people either love me or despise me. I'm not a sugar cube. I'm more like a Sour Patch Kids candy, so strong I cause an intense pucker, but stick around long enough, and a burst of sweet comes. I am so lucky to have Tamara Lyons on Bookish today. Thanks so much for agreeing to talk with me about this series and your writing Tamara and Welcome! 1. 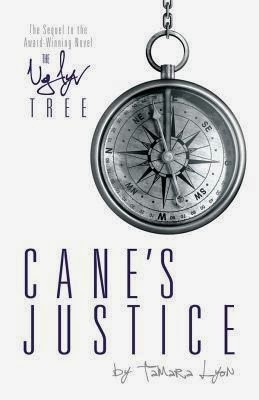 How did you come up with the story of Cane and Justice? Honestly, it never started with a love story. The character Cane was the inspiration for the series. I had this picture in my head of this spunky, quick-witted, outspoken teenage girl sitting on top of hill next to a lone tree that was half-dead. From there, her story unfolded. I wanted to give this precious teenager her first taste of love and see how she would respond. First love is always such a delicate, dangerous thing, and I wanted Cane to have a heightened experience of that. Naturally, with all the events that happen in the first story and with Justice being almost six years her elder, that made it all the more tense and dramatic. As for Justice, I strove to make him Cane's counterpart. Where she was confrontational, bold, and sometimes irreverent, he was reserved, quiet, and usually made prudent choices. 2. What music if any helped you through the writing of these novels? For me, music is probably the most powerful storytelling medium. It moves the soul. It consoles you. It performs small miracles. It transports you. Because I'm passionate about music, I wanted to integrate it into The Ugly Tree series. I referenced many of the musicians and songs that were meaningful to me back in the 1990's, and the lyrics just so happen to coincide perfectly with Cane's experiences. 3. What advice would you give to an aspiring writer? Ultimately, my advice for aspiring writers is to write often, even when you don't want to, and never give up. That may be dumbing it down a bit, but in the end, it's true. Publishing a piece of work, marketing it, achieving monetary success, that's all secondary. A writer must write. 6. Favorite quote? I adore words, and I have about a thousand favorite quotes. I have five quotes on my inspiration board in my office, and the one that resonates the most is by Stephen King. "The scariest moment is always just before you start." I find this to be so true! After thirteen years of professional writing, I'm always terrified to begin a piece of work. Because in doing so, you are risking everything and allowing for the possibility of failure. And, as a writer, there are always more failures than successes. 7. Do have a mentor or someone who made these novels possible? I don't necessarily have a mentor-there's no one in my family or even in my close circle of friends who writes. However, I'm so blessed because everyone I truly love supports my writing. My parents and grandparents are instrumental in encouraging this career path, and my husband, Chris, has championed me from the beginning. Without them by my side, I can't say for sure whether I would be so successful. 8. What are your plans to continue your writing career? I'm pretty certain that I won't stop writing until I die, or until someone pries the keyboard from my hands, let's hope neither happens any time soon. I have a personal goal of writing at least one to two books a year. Currently, I'm working on a novel called Post Traumatic Brazilian Wax Syndrome that will be released sometime in 2014. And, I'm currently brainstorming for my next project! One Lucky Winner will get a full paperback signed copy of "The Ugly Series" by Tamara Lyon. Good Luck! the computer industry and worked at Compuware Corporation in Milwaukee, WI. When her son was born, she decided to leave the corporate world behind and actively pursue her dream of becoming a novelist. 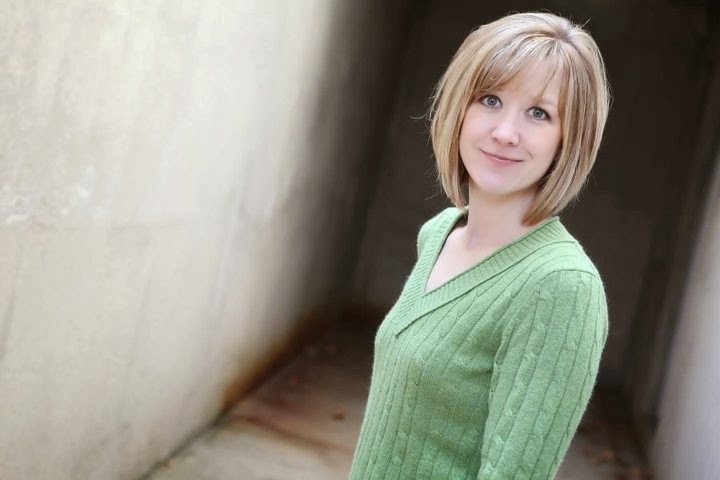 While putting her husband through medical school and residency and raising her son, Lyon has been writing novels in addition to running a successful cleaning business. 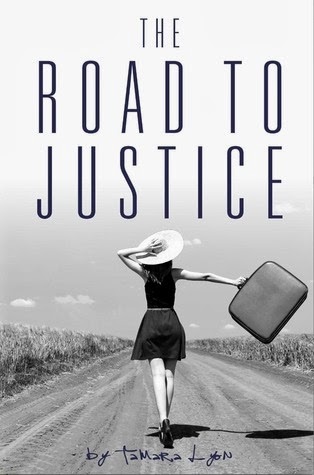 With four women’s fiction titles under her belt, The Road to Justice, Cane’s Justice (sequel to The Ugly Tree and released July 2, 2013), The Ugly Tree (2011 Indie Finalist, Eric Hoffer Finalist, Midwest Book Award Finalist), and Fixing Forever Broken (IPPY Bronze Medal winner) and more to follow, she understands what it means to persevere despite life’s obstacles. Although she continues to write, she has also entered the speaking arena. Her speech titled, Giving Your Dream Wheels, chronicles her personal story and the importance of finding your dreams and making them come true one step at a time.